123 Accounting Services LLC is dedicated to providing accounting, bookkeeping and tax solutions that fit the needs of small businesses and individuals. As a local Northern New Jersey CPA firm our office is conveniently located and we offer personal service at competitive rates. Whether you’re starting a new business, running an established business or just need annual income tax preparation, we're here to help. We can also assist you with a variety of accounting services. From financial statements, budgets and cash flow management to QuickBooks support, tax planning and new business advisory, we continue to strive for excellence in all we do. Let us put our years of experience to work for you! Call us at 862-248-0477 today for more information and to schedule your free initial consultation. 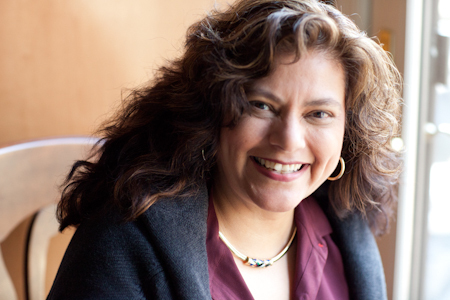 Patricia D. Rivera, CPA has 19 years experience as a business owner of an international transportation company. As one of the primary partners and Chief Financial Officer, Patricia was directly involved in all aspects of the business creation. Her area of expertise was centered on selection of corporate status for tax and business implications, securing financing for operating capital, warehouse and rolling equipment, lease/purchase agreements for computer hardware, software, telephone systems, office furniture/machines and supplies. Patricia evaluated and purchased accounting, transportation, warehousing and mapping software; established appropriate accounting, transportation and customer service systems, policies and procedures. In Patricia’s capacity as HR director she was directly responsible for all review and audits of Workmen’s Compensation Insurance, evaluation and selection of Major Medical programs, employee benefits programs i.e. vacation schedule, sick days, holiday pay and profit sharing program. Utilizing MS Excel, Patrica develop costing programs to evaluate profit margins in each business sector. Her experience and expertise in tariff applications and logistics was essential in the management of the warehousing/storage and interstate operations. Patricia conceived of 123 Accounting Services LLC in 2008 as a way to offer her expertise and experience as a small business owner to other small business owners who need assistance from a Professional that shares their perspective on small business issues. Outsourcing your bookkeeping and accounting functions will allow you the small business owner to concentrate on your core business while we set up and manage the accounting functions. We can customize a solution that works for you! Patricia is tenacious—as a single parent she attended college part time at night over a nine year period. While continuing to work in the transportation and accounting fields she obtained her Associate of Arts Degree and then her Bachelor of Science degree in Business Administration. After which Patricia went on to start an international transportation company and become a CPA. Patricia with more than 30 years experience in the transportation business and 19 years successfully running her own small business, has uniquely positioned herself to help you set up and run your small business. Many small business owners are intimidated or confused with the accounting functions required to properly record and report revenues and expenses. What is the best way to pay employees? How should I file my taxes both personally and for my business? What taxes do I have to pay and when? Why not outsource this function and relieve yourself of this stress? Let us work with you to set up, run and operate your business and extract meaningful reports that will help you to analyze your business. Running your business smoothly from the beginning will save you time and money over the long term. Patricia is a Quick Books Pro Advisor and is experienced with Peachtree, SBT, and Easy Trust, a three way Reconciliation Program for Attorneys. Patricia and staff work with MS Excel and MS Word for streamlining procedures and formatting forms. Personal Data: CPA, Married, Arpin Accredited Moving Counselor, Wheaton Certified, Household Goods Tariff Specialist, Certified Relocation Professional with Employee Relocation Counsel. Active in local Catholic Church, contributor and supporter of Christian Foundation for Children and Aging. Avid Reader and walker. Attended G.E. Small Business College.